Back when in the early 90's, when I was a BJJ purple belt, I remember my coach Rigan Machado using a training idea that in fact, he still uses to this day. he would make us run laps around the mat, while he demonstrated a technique (just one time) in the centre of the mat. he would then select two people to step out and demonstrate the same technique - if they got it right - we would all pair off and do reps - if they didn't get it right, we all did push-ups; after which he would get us running laps again, and repeat the exercise by demonstrating a different technique ... in other words - the opportunity to practise the first technique .. was gone - possibly forever. Yes - forever! There were many students who didnt seem to take the opportunities seriously enough (for my liking) - possibly because they thought (mistakenly) that they could always get it right the next time that RIgan taught it - perhaps on the next training night. This of course, was illogical thinking; for in my experience, he rarely taught the same class twice. When the next training night came - new techniques were being taught - the opportunity to learn the techniques that ere presented at the previous class - were gone! I kind of like this old-fashioned approach; for it pretty much, mimics life! So many times in life, opportunities come and go quickly and very often, they do not come again. We need to train ourselves to seize the moment - grab those opportunities and make the most of them when they are presented to us. Each class missed is a golden opportunity gone. This is one of my themes for 2011 - make the most of every day. But does that reflect what we know about effective learning and effective decision making? Its funny with all this stuff about 'grabbing the moment' 'seizing the day' 'make the most of everything' it has caused anxiety! People now stress whether they are doing enough with their lives, I need to train harder, need to be better, need to learn more, need to blah blah blah. It won't necessarily make you happy or make your life better. Martial Arts is a journey without an end. Going a little bit faster or a little bit slower makes no real difference. Better off making sure you appreciate the Journey you are on. 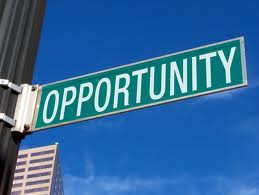 Does it matter if you miss an opportunity in a world of infinite opportunity? Does it matter if you miss a technique when there are many techniques being taught? But remember every opportunity doesn't have to be seized. A missed class might mean an opportunity to spend time with your family. It might mean giving yourself time to heal properly from an injury. It might mean many things. We all need to be mindful of the opportunity costs. But those opportunities that we do take. Yes, make the most of them. keith - good points all! All I am saying - is this - if you are there (class, family, anywhere) then BE THERE! Make the most of any given moment. Don't be at class - and NOT be there. Don't be with your family - and not be present. Etc.